So quipped Billy Connolly, and some of the ‘spring’ weather we’ve been experiencing makes us agree. Hillhead Primary School Wetsuits !!! A very compact set of waterproof trousers and matching jacket packed up in a handy little drawstring bag. The jacket features our lovely school badge and the whole kit can be yours for a £10 when purchasing direct from the manufacturer! 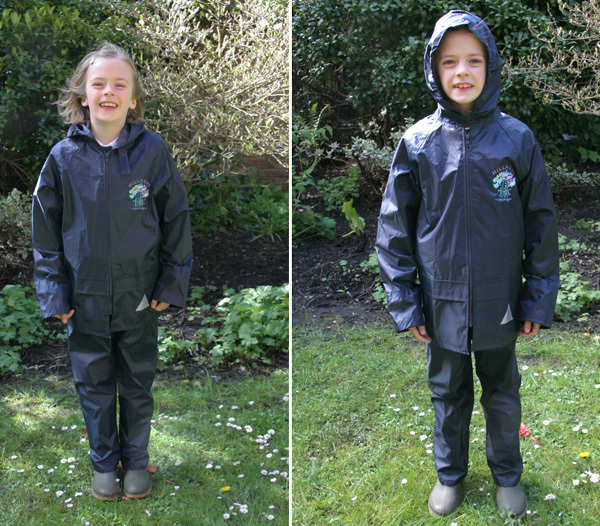 As you will know the school is really keen on developing the Outdoor Learning programme…getting kids out in ALL weather means having the right clothing. This is where the wetsuits will be incredibly useful – these kits can be hung on pegs, so children can easily put them on for learning or playing outdoors when it is raining. These are available to buy as part of the school uniform. Download the Uniform Handbook for more info or visit the Uniform page for purchasing details.